Ideal starting point to discover Central Bohemia. The origin of Slany is ascribed to the discovery of a salt spring ("slany" means salty). The old chronicles state that already in the year 750 a settlement existed in the area under the Slany Hill. 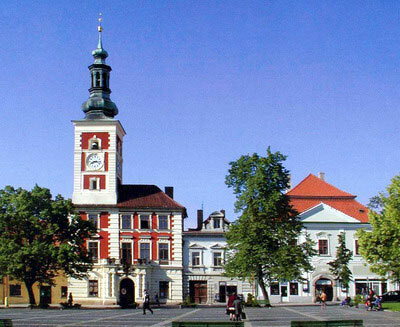 Since end of the 14th century it was in important royal town with a lot of privileges. Due to its location near Prague (and only 19 km from Prague's Ruzyne International Airport), Slany is an ideal location for the tourists who want to visit Prague and the sights of the Central Bohemia.